A good example of one of my more complex and fun projects. It is a replica of an old wagon that was used as a decorative planter. The original was falling apart, so I disassembled it, and recreated it using all the old hardware. An example of a custom photo engraving. 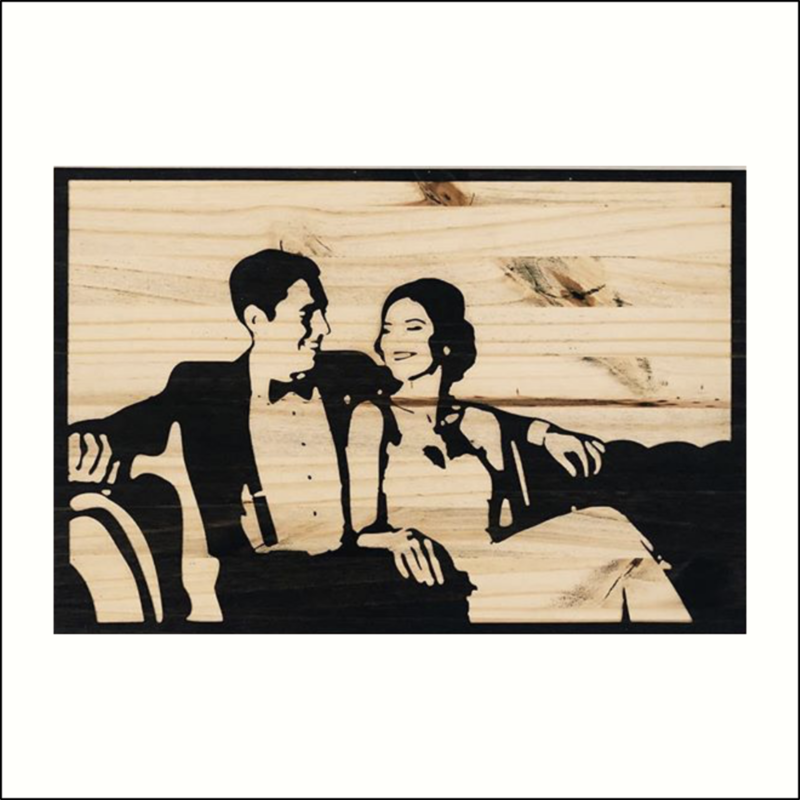 My graphic design experience, and access to a CNC router allows me to create stylized engraved wood signs from almost any photo. This jewelry box is cut from one piece of solid walnut. The top is inlaid with 5 different wood species. The design was inspired by Frank Lloyd Wright stained glass patterns. A modern take on a classic Adirondack chair style. Plans are available for download through this site. This table was build using reclaimed wood. 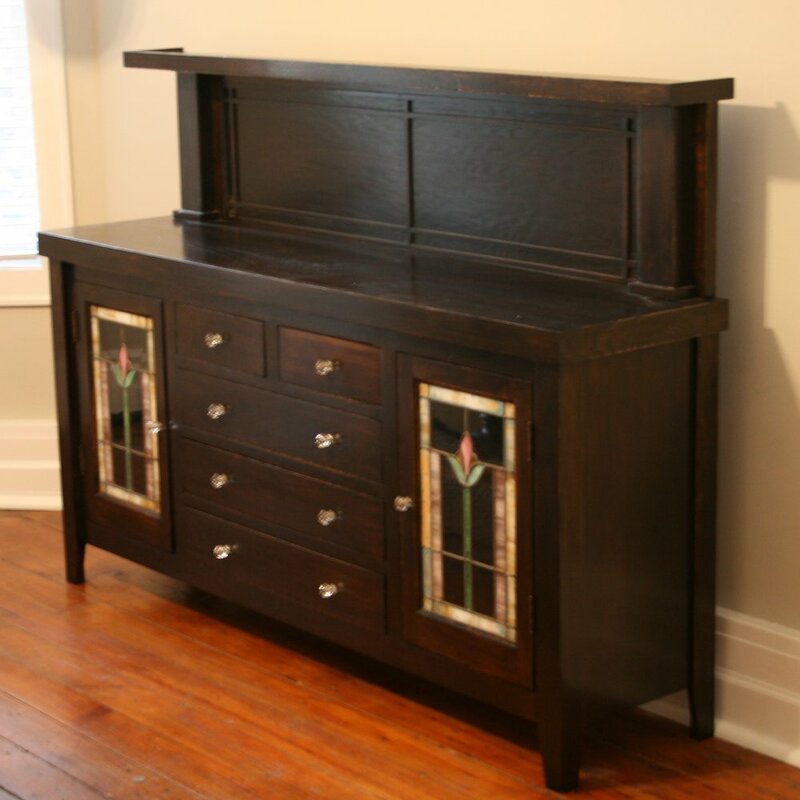 The top was made with plaster lathe from a farmhouse built in the 1890’s. The legs and bottom shelf are solid oak posts and rails from an old horse corral. This table has an almost 7 foot diameter and can seat 12. It currently lives in my dining room. This buffet was brought to me in pieces. I salvaged everything that was still usable and restored it back to it’s original beauty. A simple outdoor bench made from cedar. Another example of an engraved sign. This corporate logo was engraved and used for a marketing event. My graphic design experience, and access to a CNC router allows me to create exact engravings of any logo.